Come, step back in time with AFS. 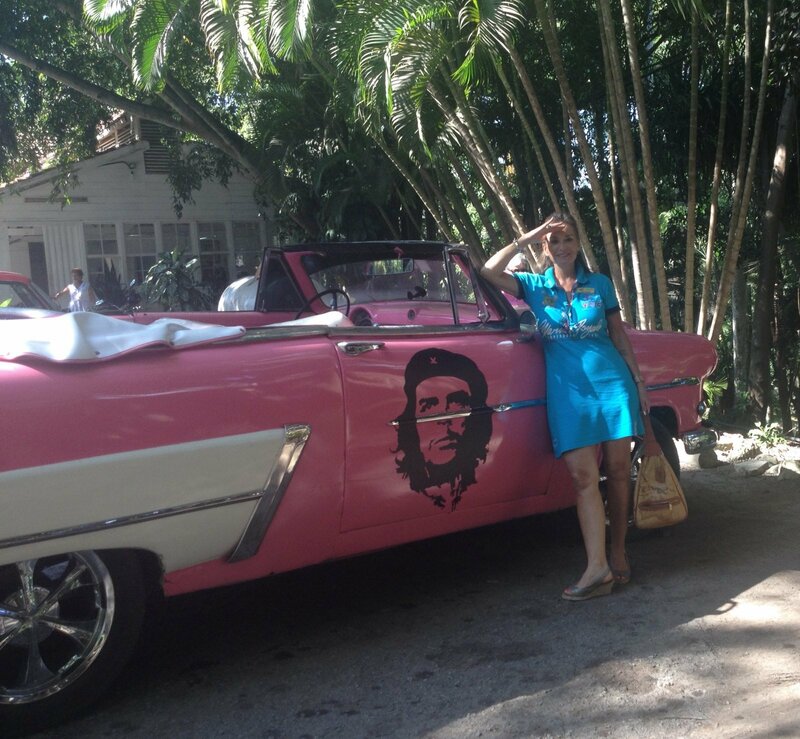 There’s no doubt Cuba is a unique destination to visit. So much history over hundreds of years and so much of the countries culture still lies relatively untouched by outside influences. 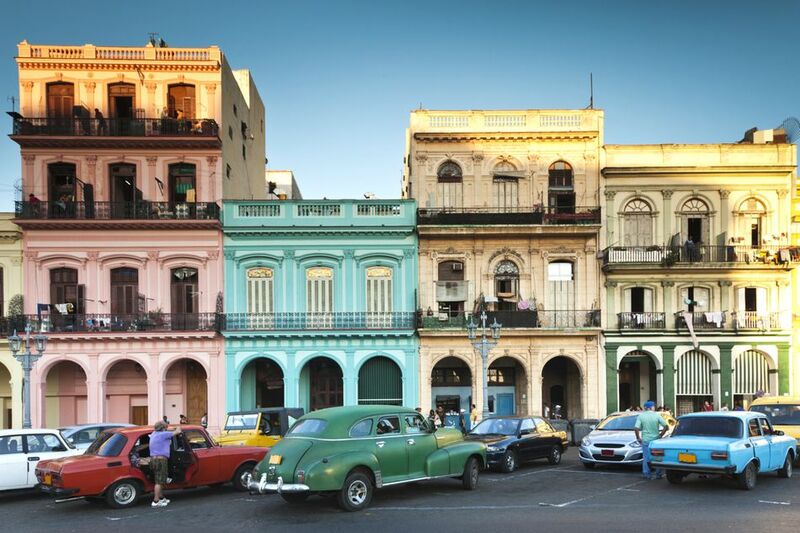 Cuba has the rare ability to maintain its distinctive identity. 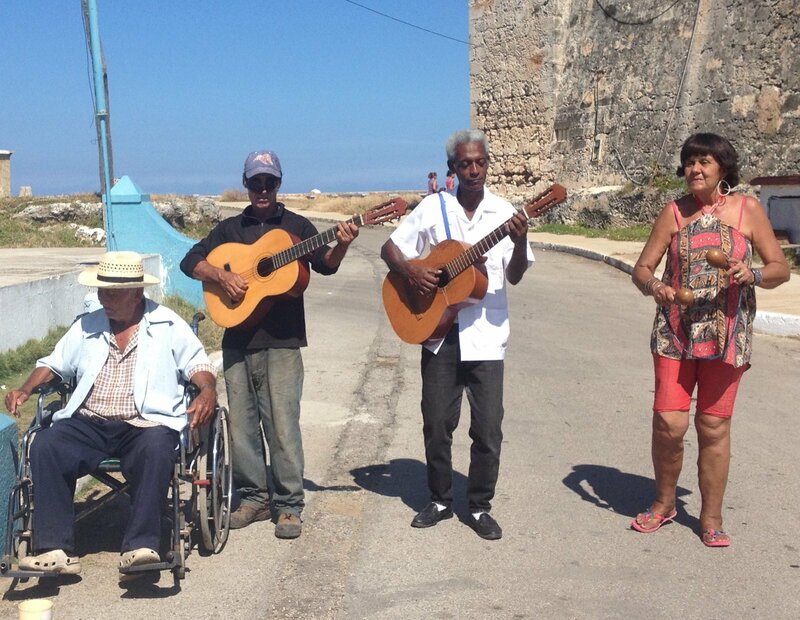 On our trip, you get to know Cuba up close and personal, the way the locals know it. 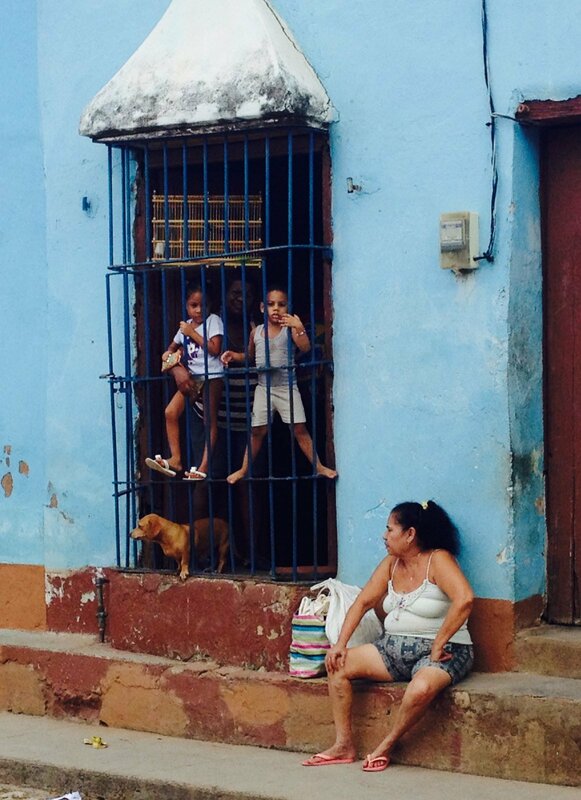 Some traveler’s desirability to visit Cuba is directly proportionate to long it’s been closed to the outside world. It inspires a deeper curiosity and appetite to visit. 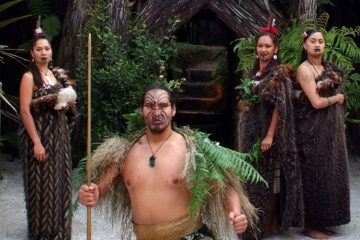 We’re able to take advantage of regulations that allow us to be a part an educational and cultural exchange with the People to People Program. 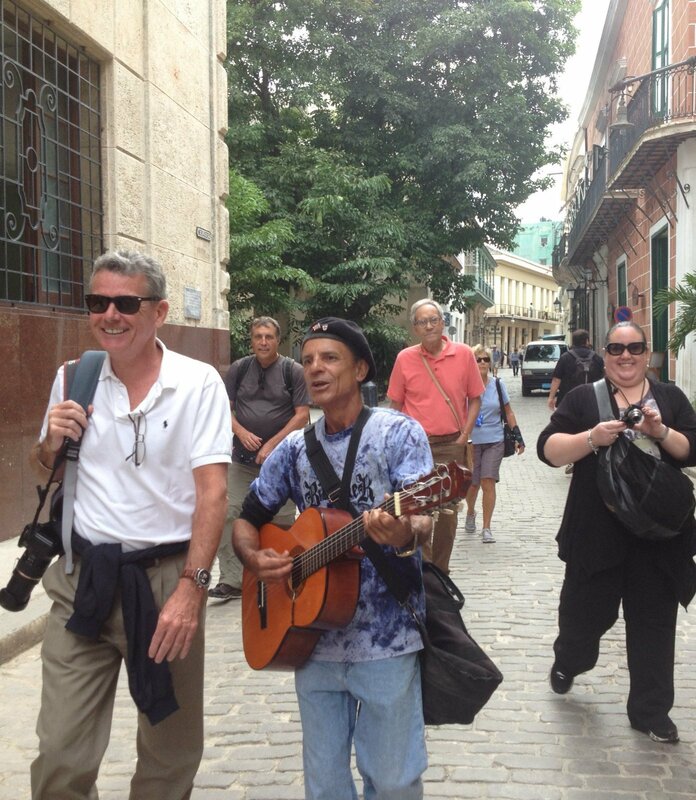 Many companies offer Cuba tours, but be cautious about what is provided or promised. We’ve got you covered through the best supplier in all of Cuba. 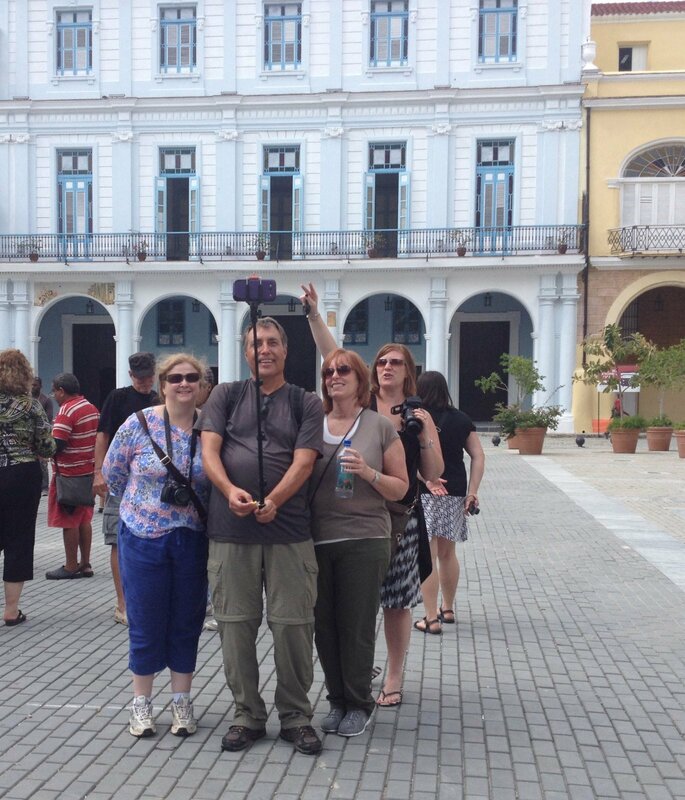 They love AFS and have tailored an exciting itinerary just for us – designed by Cubans for Americans with locals involved. 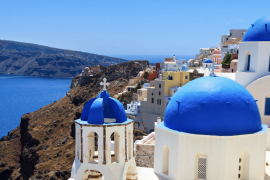 This trip is far more interesting, educational and memorable than a typical Caribbean vacay. Hello Cuba! We have a full schedule of daily cultural exchanges and activities, exploring in depth the performing arts like music, dance, the colonial architecture, photography, UNESCO Sites, museums, and more. It’s a thrilling program from bustling Havana to historic Trinidad and neoclassic jewel of Cienfuegos with fine hotels throughout. How about an AFS Vintage Car Parade down the Riviera screaming in our convertibles? 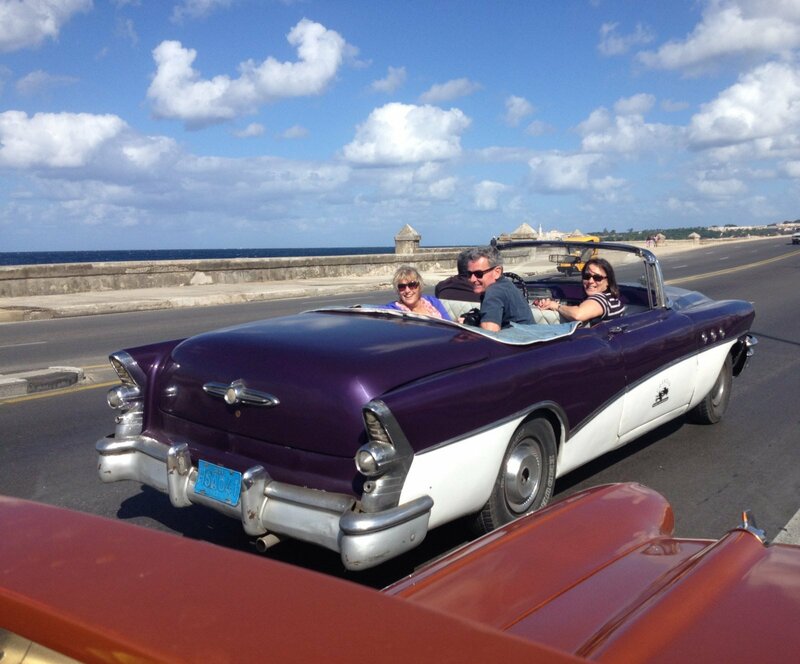 Or touring Hemingway’s house and strolling Old Havana? 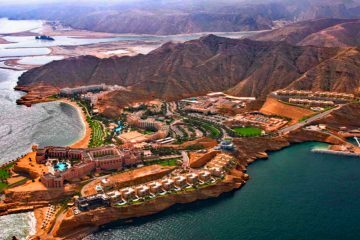 There’s art, food, beaches and children to play with… as well as the best guide you will ever meet. Everyone loves Alex! Cuba can seem lost in time. People joke that when you arrive, be sure to set your watch back 50 years. Yes, you’ll see the iconic “Yank-tanks” everywhere, those class tail-finned 50’s American cars that were imported before the revolution. You’ll find there are no billboards or credit cards or cell phones. This is an off the grid vacation experience. NOW is the time to go. We have an incredible price with all of the activities included. The best memories are from extraordinary experiences. 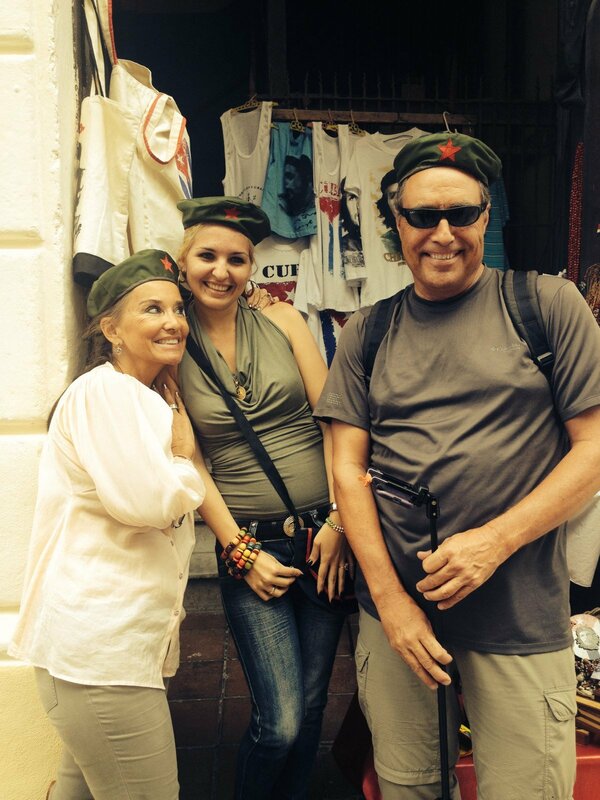 Come… observe, explore, discover and learn about Cuba a land beyond the ordinary! NOV 3. 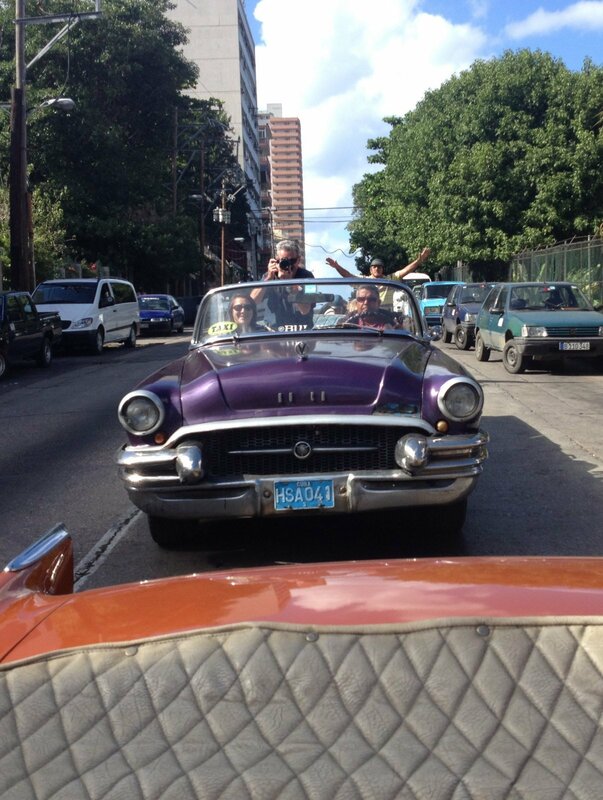 – Hello Havana! Fly into the historic “Jose Marti” International Airport in Havana. Our trip into the city will take us past the massive Plaza de la Revolucion that you will no doubt recognize from news videos of political rallies and appearances of everyone from Fidel Castro to various Popes who have visited Cuba. 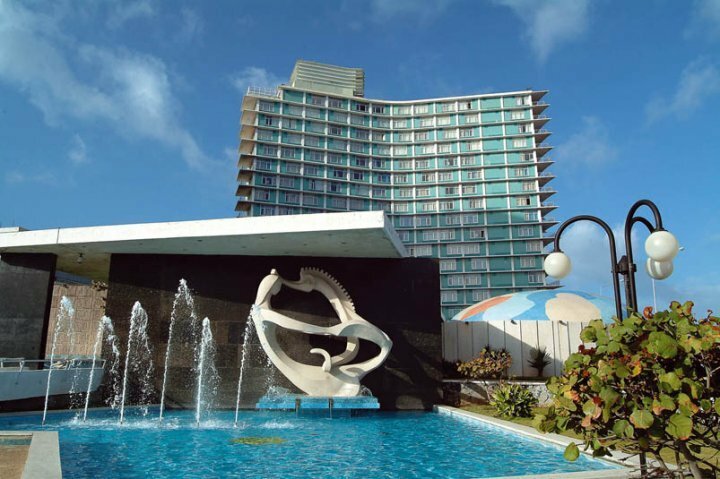 Our hotel is the Hotel Iberostar Habana Riviera, named because of its location overlooking Cuba’s Riviera and the beautiful 4 mile long Malecon, waterfront boulevard. Our check in is private for our group and includes a welcome cocktail. Once settled in, its time for our Bienvenido dinner of scrumptious authentic Cuban food at the family-run restaurant Le Chansonnier,’ called the best palador in the entire city. After a briefing by our guide, he will present an opportunity for enjoying some Salsa music in a spectacular setting, the Turquino Cabaret on the 25th floor of the legendary Hotel Habana Libre. 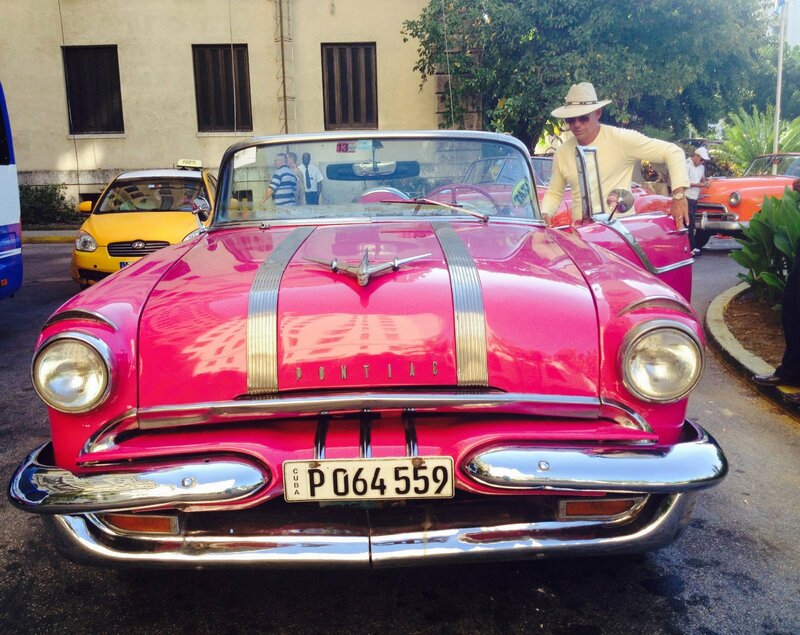 Today, step back in time as we explore Old Havana. 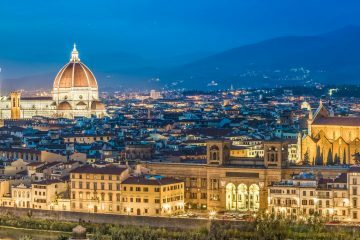 Noted architect, Daniel de la Regata will be our private guide as we take in the historic buildings, cathedrals and squares which are part of this impressive UNESCO World Heritage Site. We begin at the Plaza des Armas. Not only is this ancient Spanish military parade ground surrounded by impressive buildings, it’s the de facto gathering place for the classic old cars. Our morning will be filled with such iconic locations as the Cathedral of Havana, San Francisco Square, and Plaza Vieja. We’ll break for a Cuban-Creole lunch at a family-run paladar Called San Cristobal. Housed on the ground floor of an early 20th-century mansion, this restaurant is the place celebrities come to dine. Then we’re off to see some retail therapy at the Almacenes de Depósito San José – a massive old waterfront for a warehouse where you can purchase all sorts of crafts and souvenirs. You’ll meet the local artisans who create these works of art. 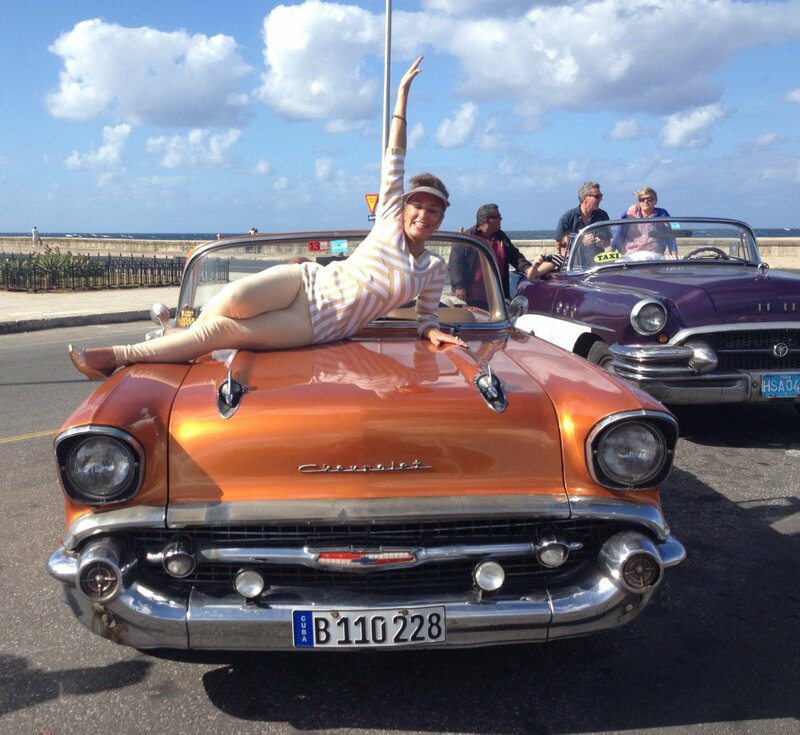 Up next, it’s time for large fun as we climb aboard our vintage cars for a parade through Havana!!! 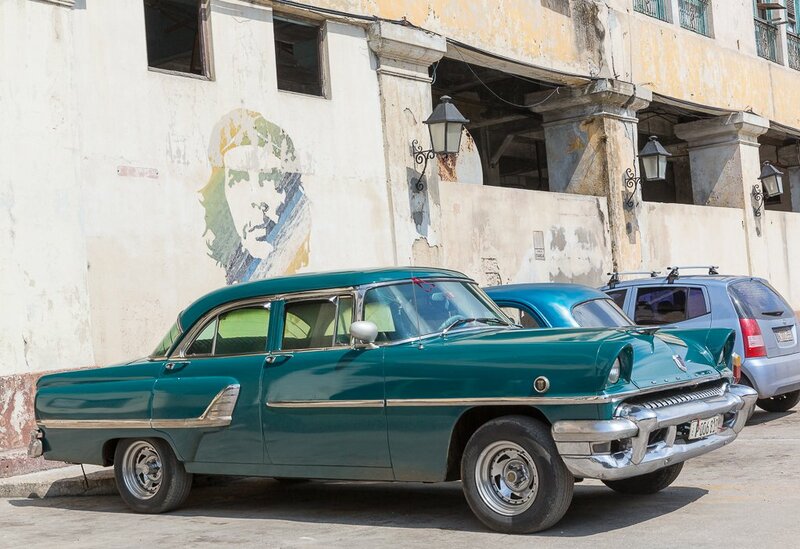 A host of colorful classic automobiles await to take us for a panoramic spin around Modern Havana. 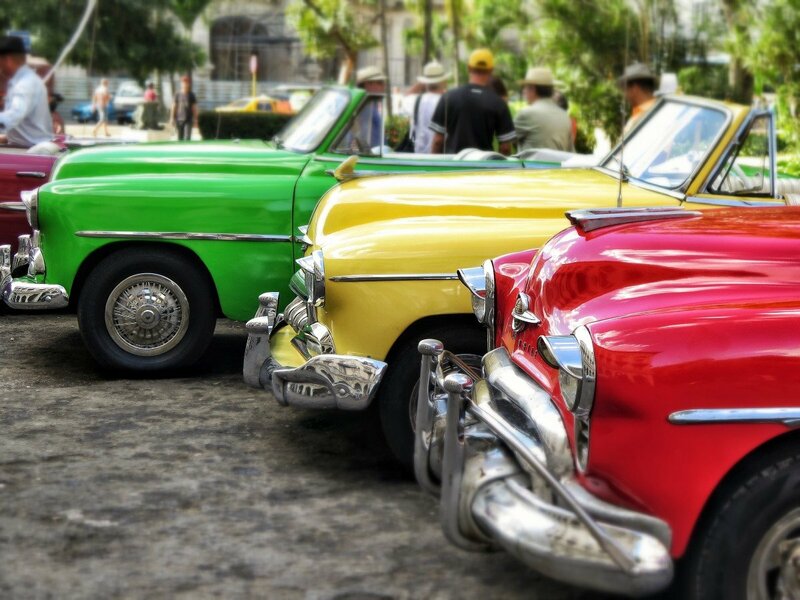 From the seat of our colorful cars, we’ll go past the Capitol building, the Grand Theatre, Central Park, Prado promenade, Sevilla Hotel, Malecón seawall, Monument to the Battleship Maine, Hotel Nacional, University of Havana, Cristóbal Colón Cemetery, and so much more. 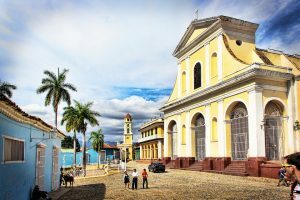 There’s a chance to freshen up before we set out in the evening to attend one of the most traditional and popular ceremonies in Cuba – the 9 o’clock firing of the Cannon at the colonial Fortress of San Carlos de La Cabana. Located at the mouth of the Port of Havana, the massive 18thcentury fort overlooks Old Havana and is where Che Guevara established his headquarters after the Revolution came to power in 1959. 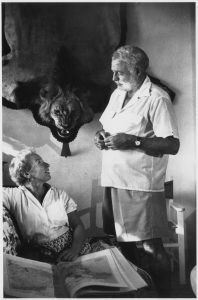 It’s all about Hemingway and artists today as we head east of Havana to Finca Vigia, the hilltop retreat of Ernest Hemingway. “Papa” called this villa home for 30 years and it is here where he wrote many of his greatest works. It has been maintained as a museum for the past five decades and is filled will his manuscripts, letters, over 3000 photographs, and art. The sprawling grounds include a pool and even his famous wooden boat El Pilar. Near Finca Vigia is the 17thcentury fishing village Cojimar at the mouth of the Cojimar River. 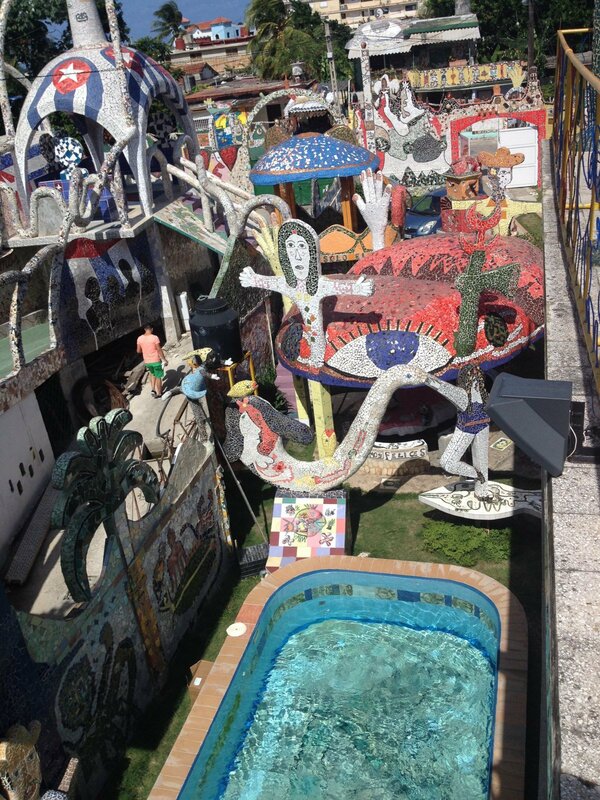 We will visit Fusterlandia, the studio, residence and wild kingdom of one of today’s most important Cuban ceramists and painters – José Rodriguez Fuster. 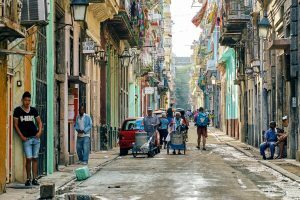 Fuster has turned an entire neighborhood in western Havana into a giant art installation that involves locals and their actual homes as part of the exhibit. This is art for and by the people on an epic scale, with even the youth as a part of it! Fuster hosts us for lunch and before we stop by a local Elementary School. The students and the teachers will be our hosts and will treat us to a special performance! Let’s bring goodies to rewards them! It’s time to learn about Cuban cigars as we tour what is considered the finest factory on the island – the Partagas Cigar Factory. It’s rich history dates to 1847 when it was founded by Spaniard Don Jaime Partagas. Generations of families have worked here and they’ll teach us the secrets of rolling the world’s best cigars. Lunch is at El Aljibe restaurant where AAnthonyBourdain visited to savor their Creole food -particularly the roast chicken served with a special ‘secret’ sauce. 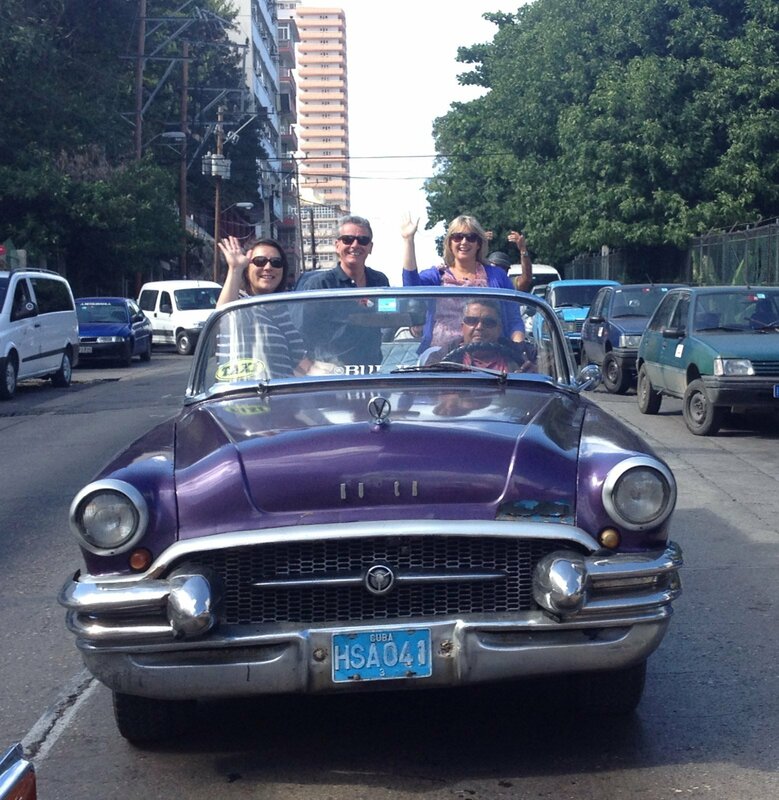 After lunch, its road trip time through the Cuban countryside to Central Cuba and the town of Cienfuegos. This town is considered one of the first and finest examples of urban planning in all of Latin America, dating back to the 19thcentury. Our home for the next two nights is the Jagua Hotel, just a few minutes away from the city center. Located in the residential area of Punta Gorda, the newly renovated Jagua Hotel looks out over the sparkling waters of Cienfuegos Bay. Our evening includes dinner in the stunning setting of the Palacio de Valle. This eclectic building was designed to include a mixture of marble, alabaster, brass, glass and ceramic imported from Spain, Italy and United States. A highlight will be a private performance by Cánticus Novus, one of the most prestigious choral groups in Cuba. Afterwards, we’ll be able to meet and talk with the singers. Spend the day exploring the historical center of the nearby town of Trinidad. A UNESCO World Heritage Site, it is an outstanding example of a colonial city and has preserved its historic core. Trinidad has one of the highest percentage of surviving antique buildings and public squares in the world. Wander cobble-stoned streets past pastel-colored homes and ornate facades. 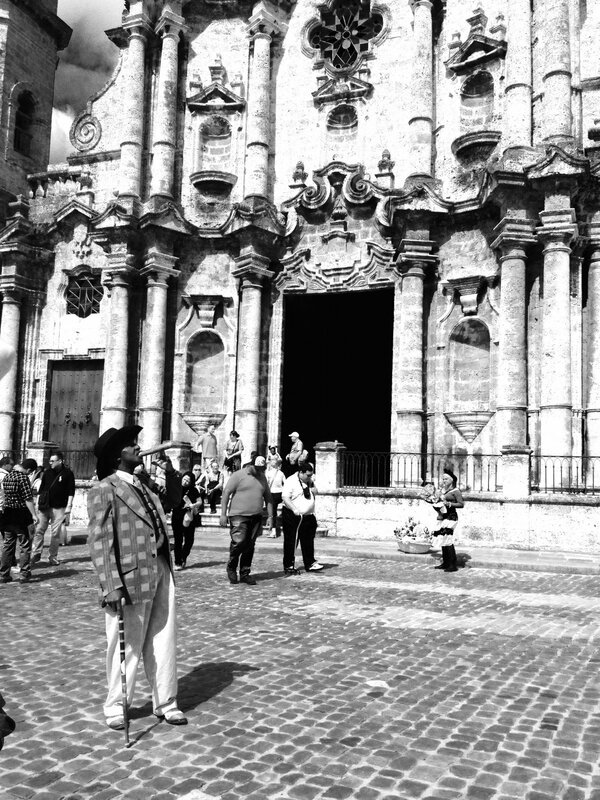 We visit to the town’s 19thcentury Cathedral, Iglesia de la Santísima Trinidad. It may seem relatively simple on the outside but the restored interior reveals a Gothic vaulted ceiling and nearly a dozen attractive carved altars. Trinidad is well known for its colorful pottery and there’s no better-known pottery makers than the Santander family. The family that has been passing the tradition for generations and we will see them work the wheels, paint and create these works of art. Lunch at Trinidad’s famous paladar ‘Solananda.’ Family run, it is located on the main square in one of the city’s oldest homes. Later, we will visit the Manaca-Iznaga Hacienda and its famous Manaca-Iznaga Tower. Built in 1816, the tower stands 45m high, has seven floors and 136 steps to the top. The restored hacienda is now a restaurant with a terrace overlooking the valley. We can also enjoy some fresh squeezed cane juice at a traditional guarapera at the rear of the hacienda. We return to Cienfuegos for a free evening. We spend our day in Cienfuegos’s Historical Center, also a UNESCO World Heritage Site. We will visit neoclassical buildings around Paseo del Prado and the main Square Jose Marti such as: The Casa de la Cultura, home of another wealthy sugar baron, stunning mansion in neoclassical style. The Tomas Terry Theatre completed in 1895. The Cathedral built with the donation of wealthy families like the Lebrancs, the Albis. Inside you find the reproductions of the 12 Apostles in stained glass imported from Paris. Also the original machinery of the clock tower was built in France. Still in place and working. Check out of your hotel and transfer back to Havana city. Lunch on route (not included on tour cost). Afternoon: Free time at Santa Maria Beach. Later, we drive back to Havana and check-in at the Iberostar Habana Riviera Hotel. 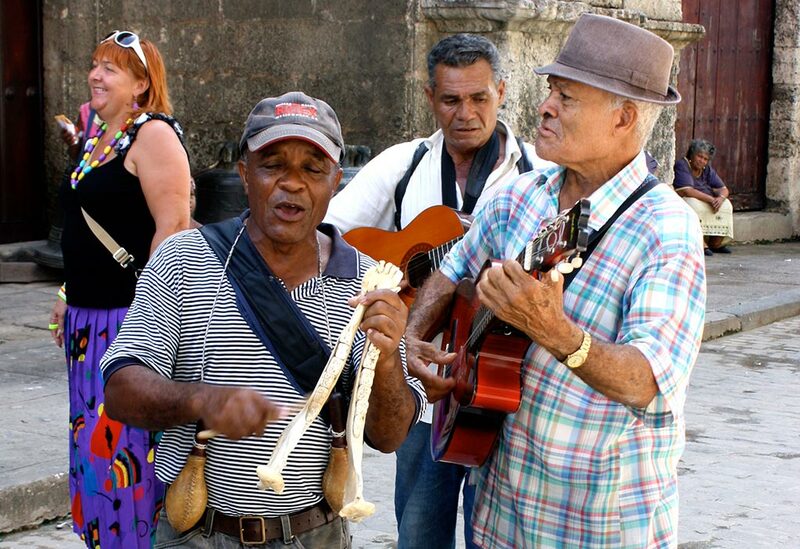 You can enjoy a performance of the world famous “Buena Vista Social Club” at the classy Habana Cafe cabaret. After breakfast, we transfer to Havana International Airport for departure. Don’t miss this meaningful in-depth discovery of Cuba as it may not be offered again! It will fill quickly. Limited to 34 participants. 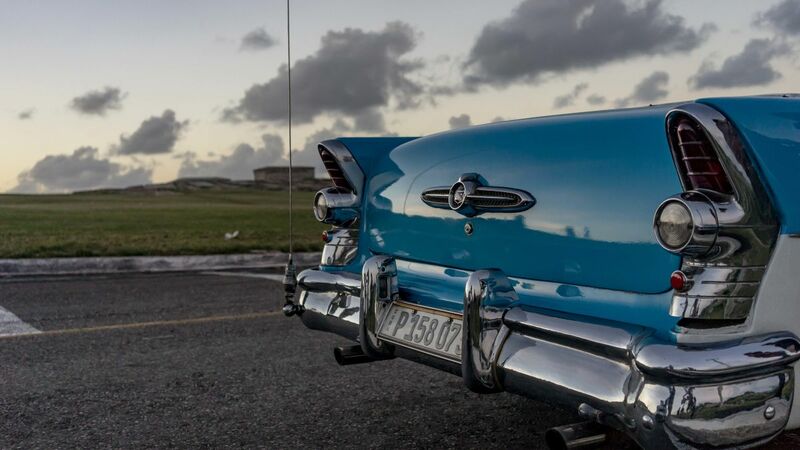 US law requires all participants in any licensed trip to Cuba must adhere to the itinerary of the trip and imposes AFS the obligation to ensure such adherence. Certification of travel to Cuba under the U.S. Department of the Treasury general license. 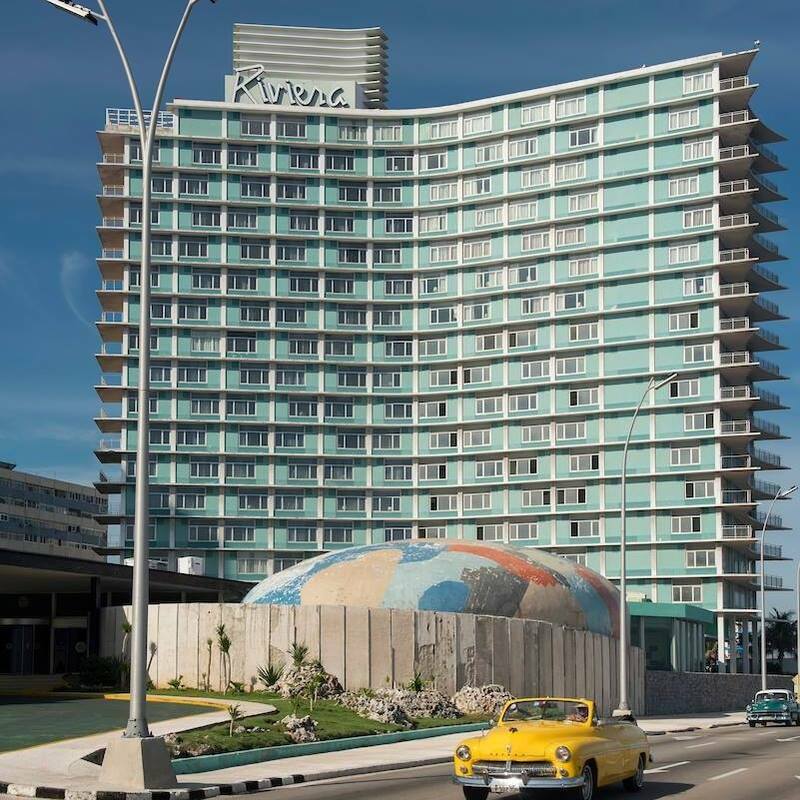 4 nights at the Iberostar Habana Riviera Hotel in Havana. 2 nights at Hotel Jagua in Cienfuegos. 12 Meals: 6 breakfasts, 4 lunches, and 2 dinners included. 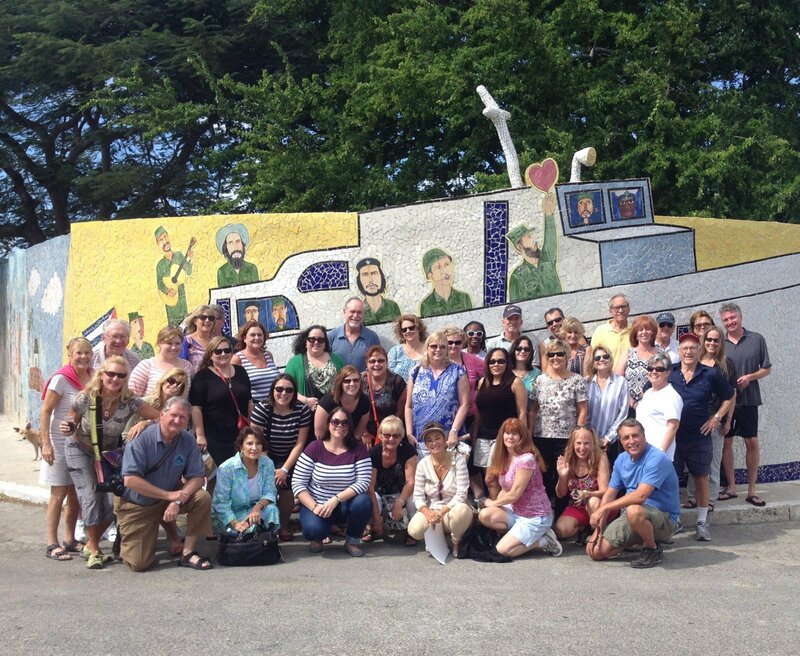 together with ongoing support from Authentic Cuba Travel’ staff in Cuba and Canada. Group Air– We just secured the best possible air price and perfect schedule on American Airlines! 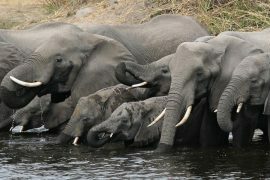 You can’t beat this at $299 total includes your Cuba Visa cost and all taxes and group transfer. It flies from Miami with no forced overnight. I blocked a limited number of seats. I must know upon booking via email or call me 770-432-8225. 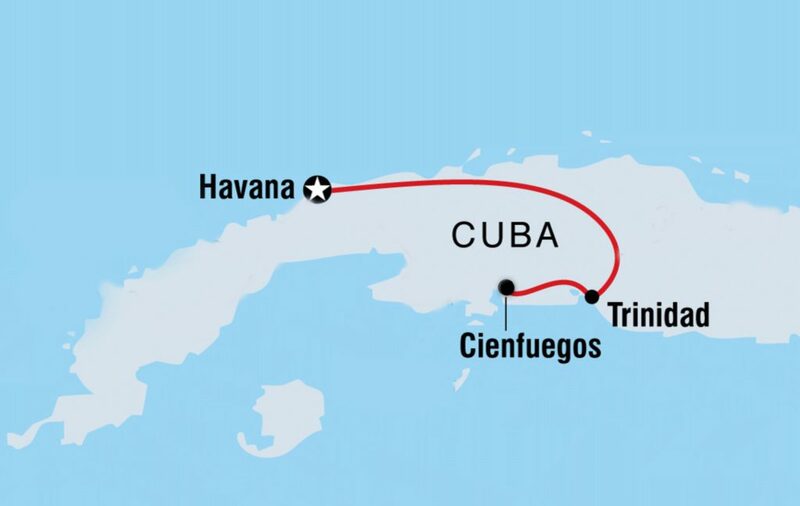 Air – You can arrange own air roundtrip USA to Cuba Nov 3-9. Airlines include Delta, AA, JetBlue, Southwest. 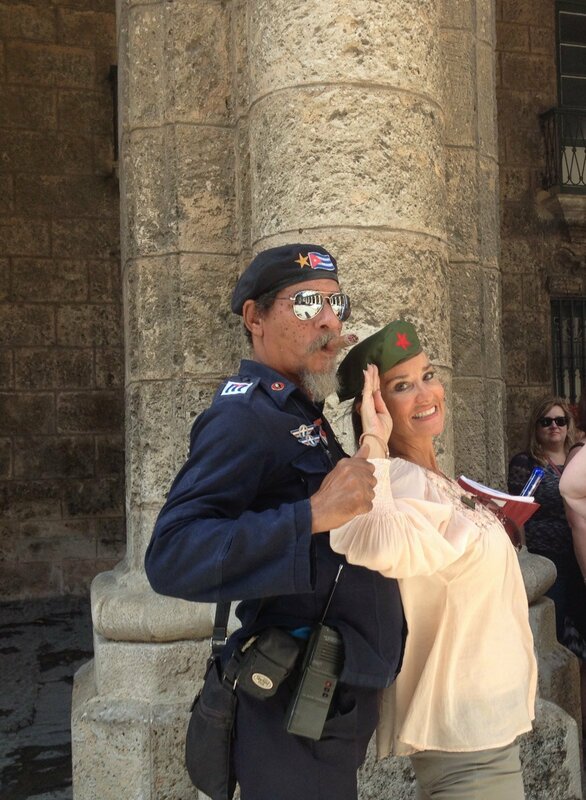 Some airlines charge you $55 to $985 for Cuba touristy card visa. We can provide two airport-hotel transfer times aside from our group air transfers. 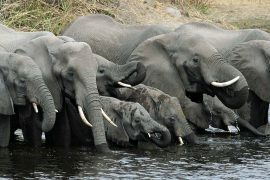 Meet Up with Group – All must meet NOV 3 6:30pm in hotel lobby for a briefing by guide with welcome drink. Offering a year-round outdoor pool and terrace, Habana Riviera by IBEROSTAR is located in the Vedado district in Havana, 3.1 mi from Castillo de San Salvador de la Punta. The hotel has a sauna and fitness center, and guests can enjoy a meal at the restaurant. Every room at this hotel is air conditioned and is fitted with a flat-screen TV with satellite channels. Some rooms have views of the sea or pool. Rooms are equipped with a private bathroom fitted with a bath. For your comfort, you will find free toiletries and a hairdryer. With its magnificent location in the well-known residential area of Punta Gorda, in the southern city of Cienfuegos, the Hotel Jagua is considered one of Cuba’s most famous hotels. It rises over the waters of Cienfuegos Bay – take a south-facing room for the panoramic vistas over the bay and the Mughal-style Palacio del Valle. Built in Modernist style in the 1950s, it was recently revamped in sophisticated contemporary style. Today the lobby, with its acres of glass walls on three sides, is both colorful and exciting, with its contemporary art and equally avant-garde furniture. The guest rooms are characterized by the spaciousness of the 50 ‘s and offer beautiful panoramic views. They, too, benefitted from the recent remodel and today boast colorful (even stylish) contemporary furnishings. All rooms have a wall of glass with sliding glass doors onto private balconies. And the modern bathrooms even have hair-dryers. The city centre is just a few minutes away. Surrounding its charming park are the Cathedral, the Terry Theatre and other attractive constructions. Rooms: 149 comfortable and spacious rooms with bathroom with shower and hair dryer, air conditioning, mini-bar, satellite TV, radio and telephone. The rooms have views of la Bahia de Cienfuegos. 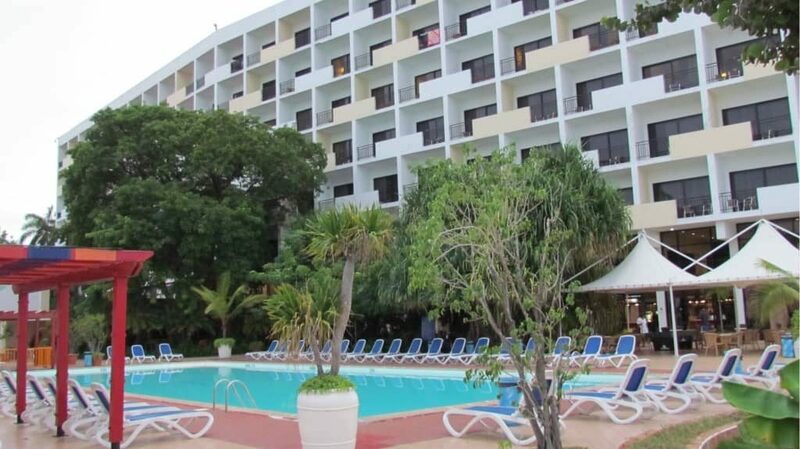 Facilities: outdoor pool, shops, car rental and travel angency.